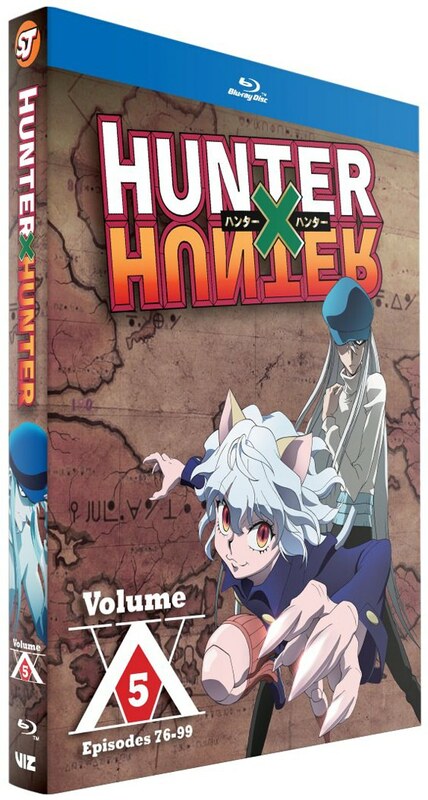 Hunter x Hunter: Set 5 (Blu-ray)due out on 1/15/19. 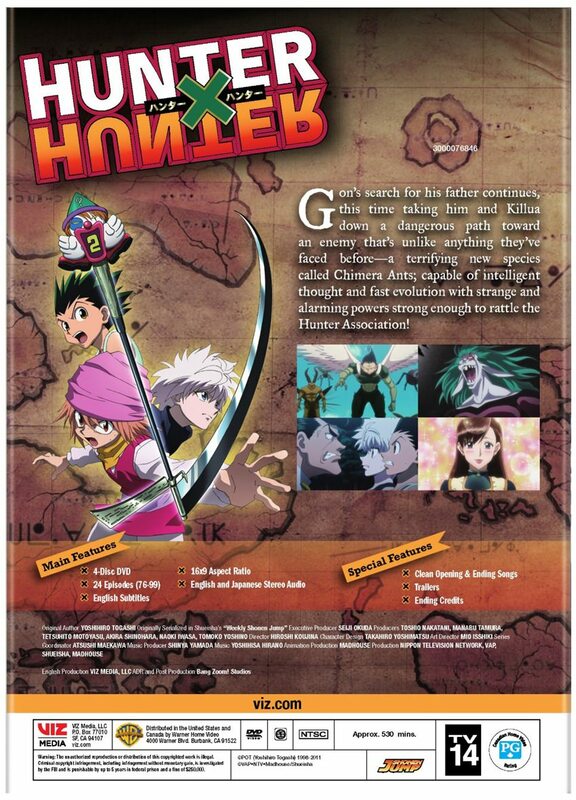 Hunter X Hunter Set 5 contains anime episodes 76-99, the beginning of the Chimera Ant arc. 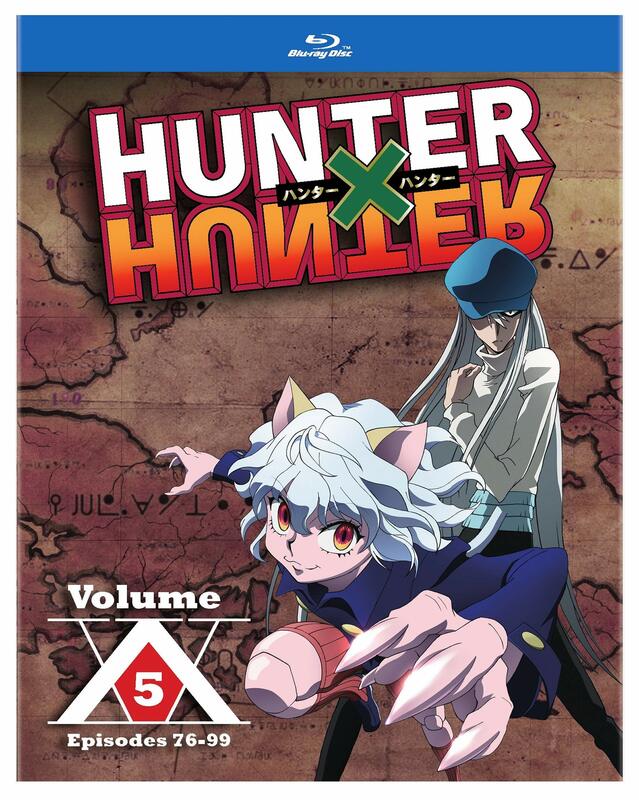 Hunter x Hunter: Set 5 due out on 1/15/19. 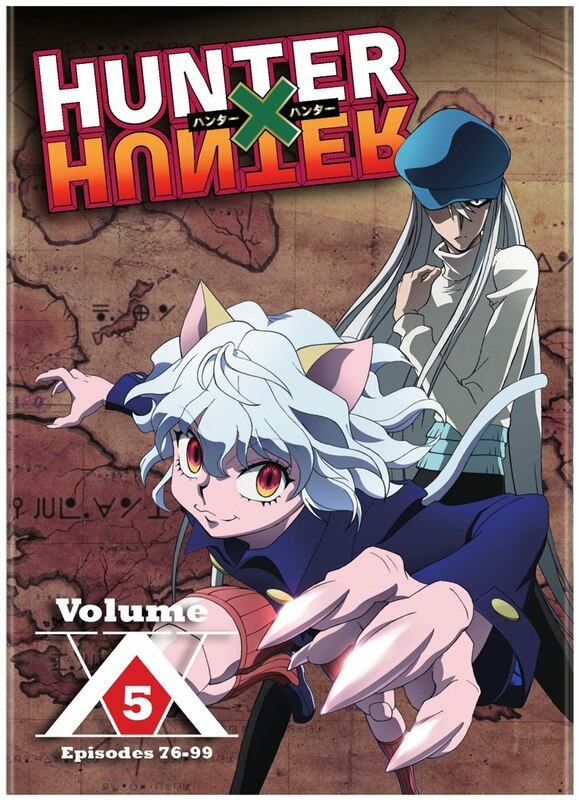 At this point I'd take anything, but the series has only great art (of great characters), so this perspective shot of Neferpitou with Kite looking defensive in the background is a lot better than just "anything" and represents a hauntingly critical development for this arc. It looks good and fits in with the other cover arts. 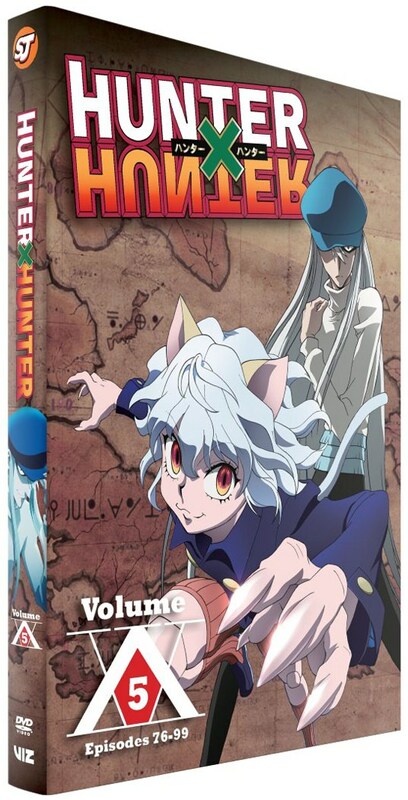 Seeing that this is part of the Chimera Ant arc that it's pretty representative having Neferpitou and Kite on it.